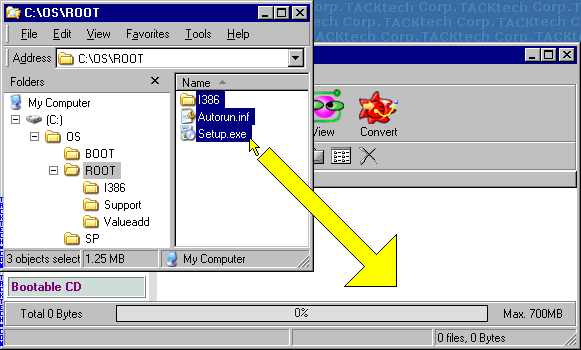 Creating bootable Windows 2000/XP/2003 ISO (WinISO 5.3) (Windows 2000/XP/2003) - TACKtech Corp. 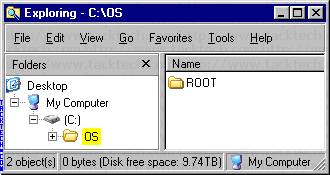 Note: WinISO v5.3 was using in this example. 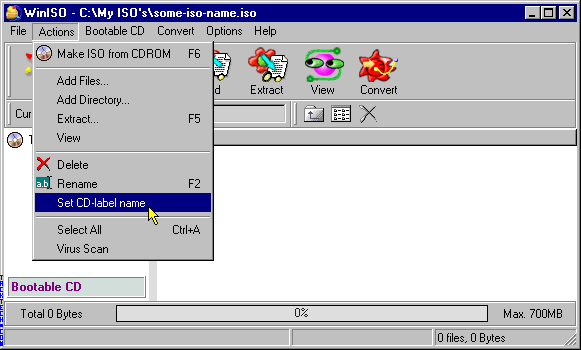 - Visit WinISO Computing Inc.
A copy of the original Windows CD or ISO. 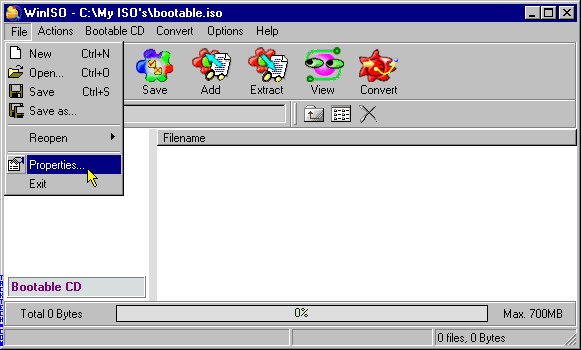 A copy of the Bootable ISO (Downloaded Below). In this folder create two sub-folder called ROOT. 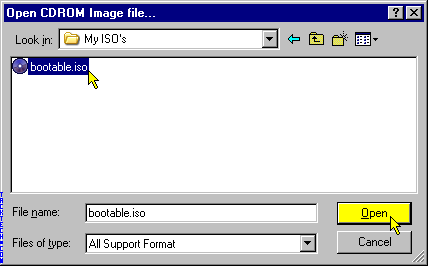 Note: In this example the blank Bootable ISO is saved to C:\My ISO's and was not renamed. 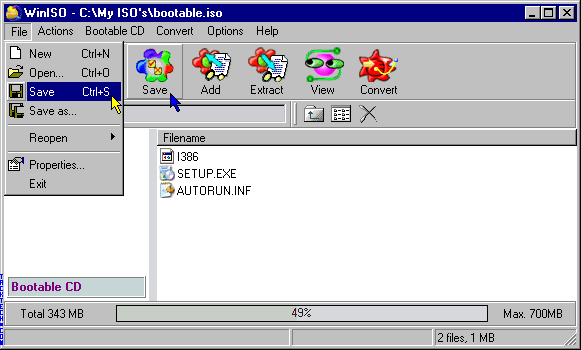 The blank Bootable ISO can be saved to a alternate folder and named differently. Note: Links to regarding WinISO are found at the top of this article. Select File > Open from the menu. Click the Open button on the toolbar. 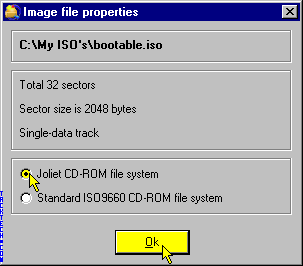 Locate the Bootable ISO you downloaded. Select File > Properties... from the menu. - Select the Joliet CD-ROM file system option. Select Actions > Set CD-label name from the menu. 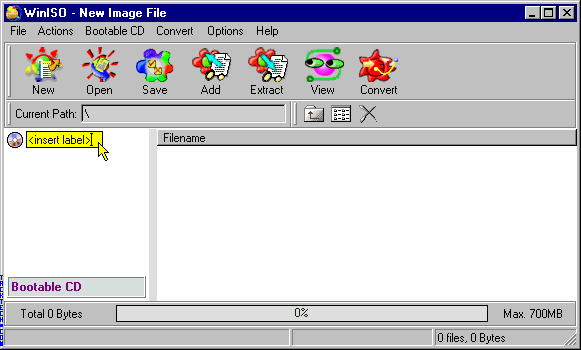 - Select everything in the folder and drag it to the Filename panel. Select File > Save from the menu. Click the Save button on the toolbar. Wait for the ISO to be saved.